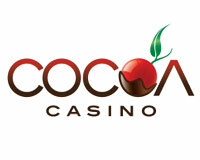 Cocoa Casino is an online casino powered by Rival Gaming owned by Silverstone Overseas Limited. The website supports English, Spanish, French, Italian and German language. 4 bonuses for Cocoa Casino.